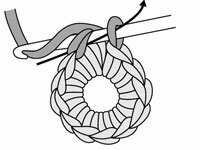 To begin a crochet design that you work in rounds, you first create a center ring and then crochet the first round. 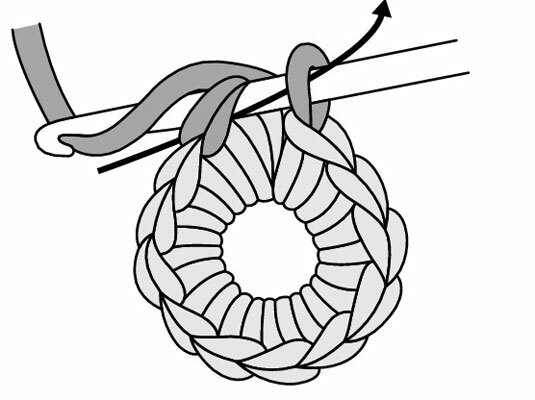 After you complete the number of stitches needed for the first round, join the first and last stitches of the round to complete the circle. Adding more rounds to your work is similar to adding rows. 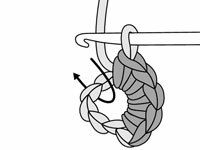 1Chain (ch) 6, then insert your hook into the first chain stitch you made, forming a ring. You use this chain as the center-ring chain. 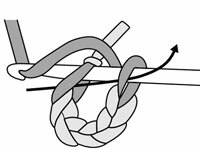 2Yarn over your hook (yo), then draw the yarn through the stitch and through the loop on your hook. Your center ring is now complete. 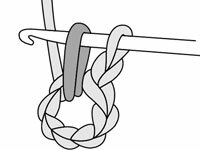 This step makes the turning chain for single crochet (sc). 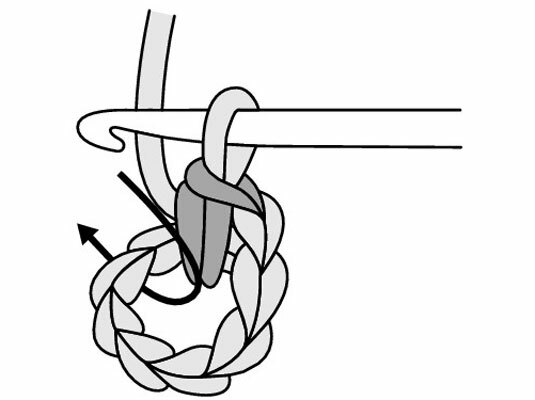 4Insert your hook into the center ring. 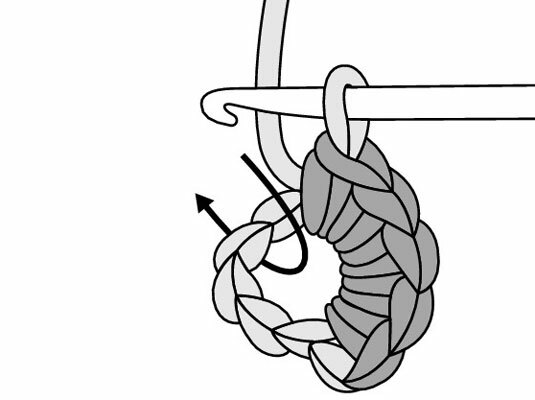 You work through the center ring instead of inserting your hook into the stitches themselves. 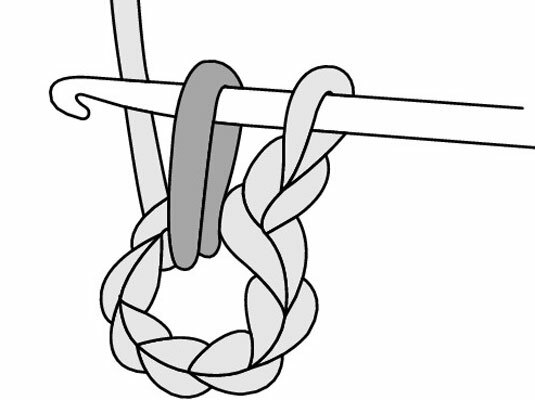 5Yarn over your hook (yo) and draw the yarn through the center ring. Follow the direction of the arrow. 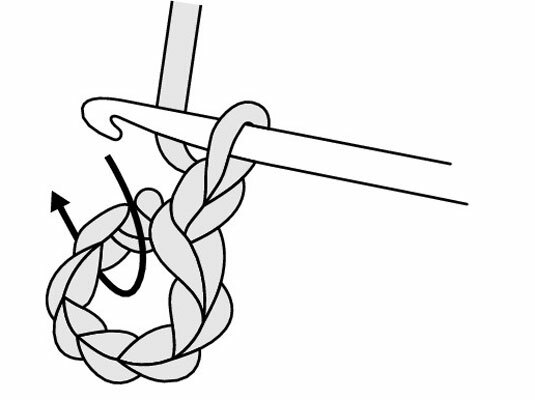 6Yarn over your hook and draw the yarn through the 2 loops on your hook. One single crochet stitch is complete. 7Continue to work single crochet stitches into the ring until you can’t fit anymore. The center ring will stretch somewhat, and you’ll probably be surprised at how many stitches you can fit in. 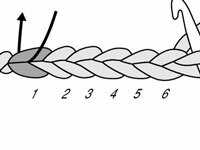 8Insert your hook under the top 2 loops of the first single crochet stitch you made. 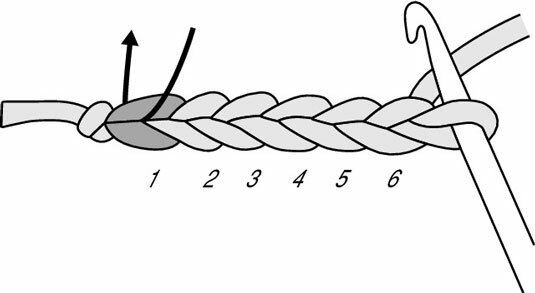 The chain-1 turning chain at the beginning of a single crochet round doesn’t count as a stitch, so you ignore it (skip over it) and work the slip stitch in the first single crochet. 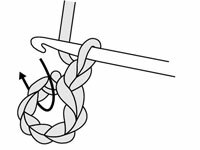 9Yarn over your hook (yo) and draw the yarn through the stitch and the loop on your hook to complete 1 slip stitch (sl st). You’ve just joined the first round of single crochet. 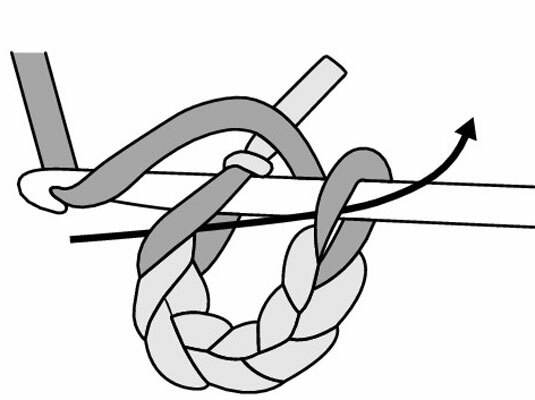 This step creates the turning chain. 11Work 1 double crochet (dc) stitch under the top two loops of the first stitch, the stitch directly below the turning chain. 12Work 2 double crochet stitches in each stitch around, and then join the first and the last stitch of the round with a slip stitch (sl st). You should have twice as many stitches in the second round as in the first round.